This is another recipe Mum found in the Woman’s Day, it’s similar to the Easy Picnic Slice, but would be best served hot with salad at home. 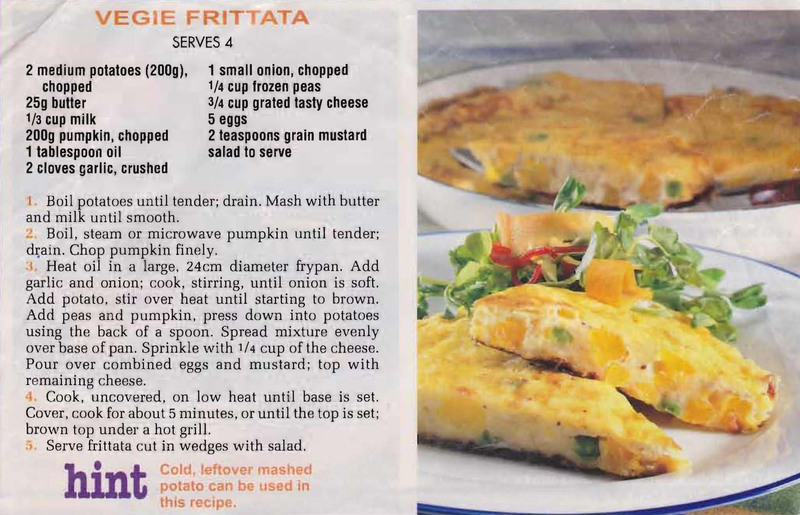 This entry was posted in All Recipes, Savoury Quiches/Pies/Patties and tagged 1990s, frittata, gluten free, peas, potatoes, pumpkin, vegetable frittata by bebsrecipes. Bookmark the permalink.